It’s that time of year! 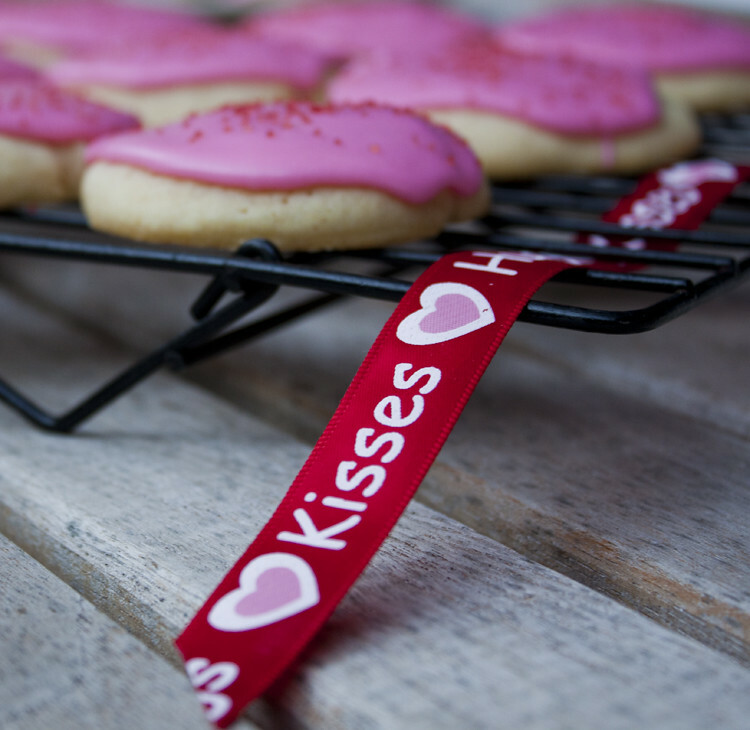 The bakery section of your grocery store is overflowing with pink & red goodies. From cookies to cupcakes, I’ve even seen dyed breads, anything that can be dyed pink or red basically. 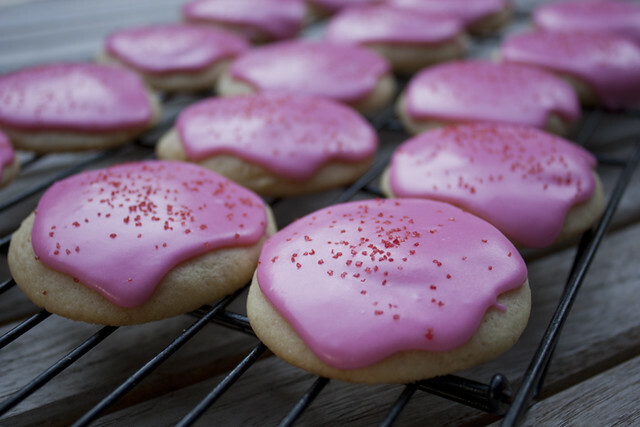 One of those special cookies that I use to always cave into buying where those fluffy sugar cookies with the pink frosting and sprinkles. They’re like big fluffy sugar pillows, how could you not resist. Well these cookies are based on the infamous store bought sugar cookie, except they are way better and don’t have any of those nasty preservatives in it. I warn you, they are so addicting. I keep going into the cookie jar and taking a half a cookie…and then coming back 10 minutes later for another half…and then another half…you see where this is going. 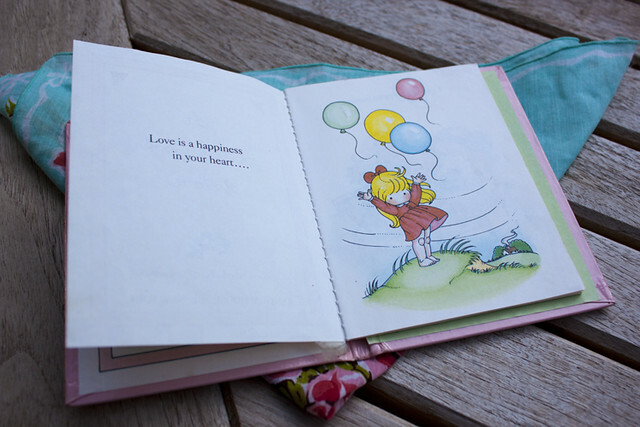 I found this adorable little book about looove that I signed inside with the D’s backwards and in huge writing. It was quiet adorable to see. I used a tiny bit too much food coloring in the frosting, so the pink turned out a little brighter than I had hoped for, but they’re fun regardless. 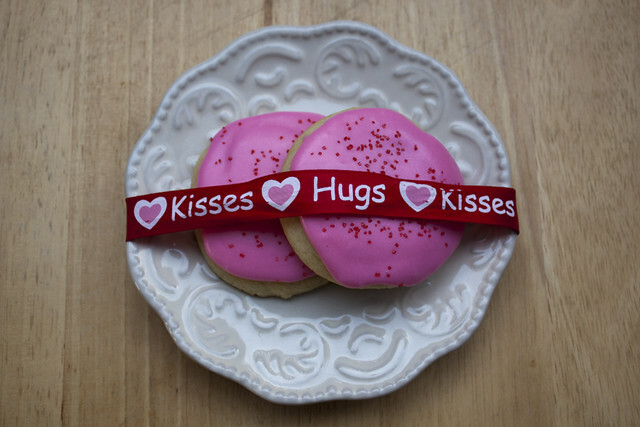 This entry was posted in cookies, holiday and tagged cookie, pink, sugar, valentines day. 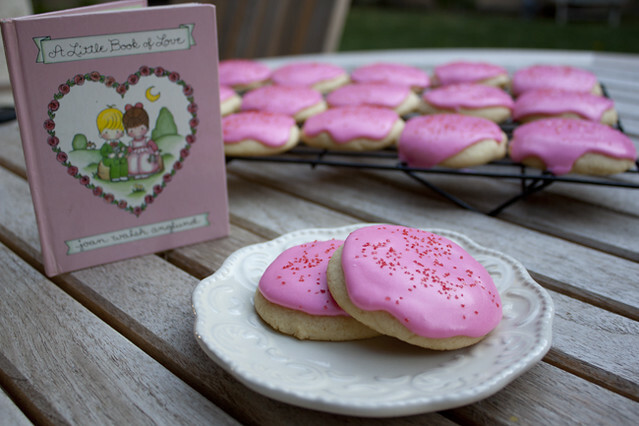 hey, just had some of the left over valentine’s day cookies that your father brought to his evening class at USC last night. (I’m one of his students) they were amazing! you’re a really talented baker! thank you!